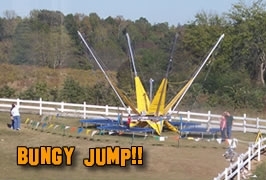 Are you longing for a few hours of outdoor activities and fun for the whole family? 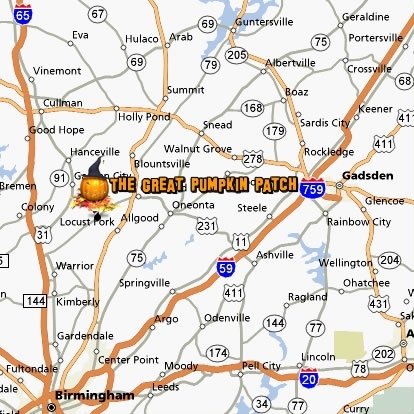 Then join us at The Great Pumpkin Patch, set in a beautiful farm atmosphere! 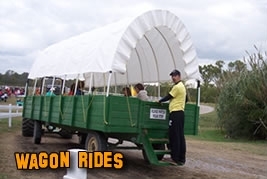 Ride in one of our hay filled covered wagons out to the pumpkin patch where help will be provided (if needed) in choosing and/or picking your own pumpkin to take home. 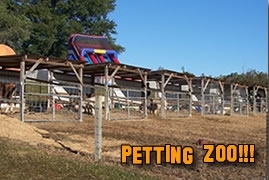 While at the patch, there will be several different types of farm animals for you to see. All of the kids will enjoy our new Hay Pyramid!!! 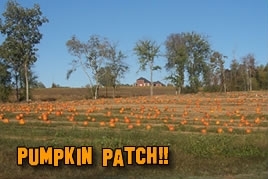 At the patch and at several different locations on the farm are nice cozy picnic areas, complete with picnic tables to accommodate large groups. 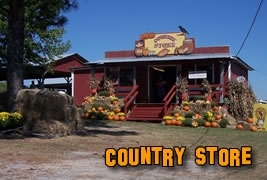 You can bring your picnic lunches, or buy your lunch right from the Pumpkin Patch Kitchen. 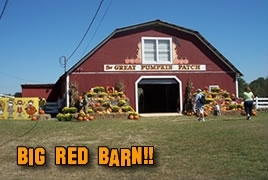 At the front entrance, refreshments, various sizes of additional pumpkins, and all types of fall decorative items and crafts will be sold in either the "Big Red Barn" or the "Old Country Store." 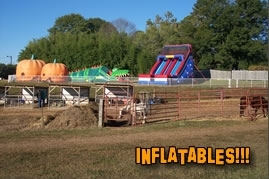 Here is a list of all exciting activities that you can find at The Great Pumpkin Patch!